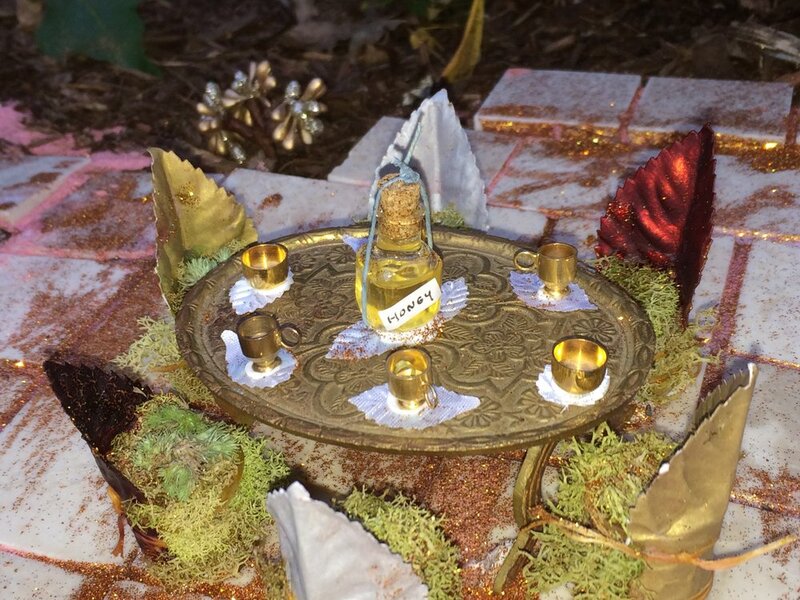 I was very happy to be invited to participate in Florence Griswold Museum's 2016 Exhibit "A Flutter Through Time: Faerie Houses Around The World & Across The Ages". I chose Cappadocia, Turkey's architecture as my inspiration. A visit to Cappadocia is on my "bucket list". 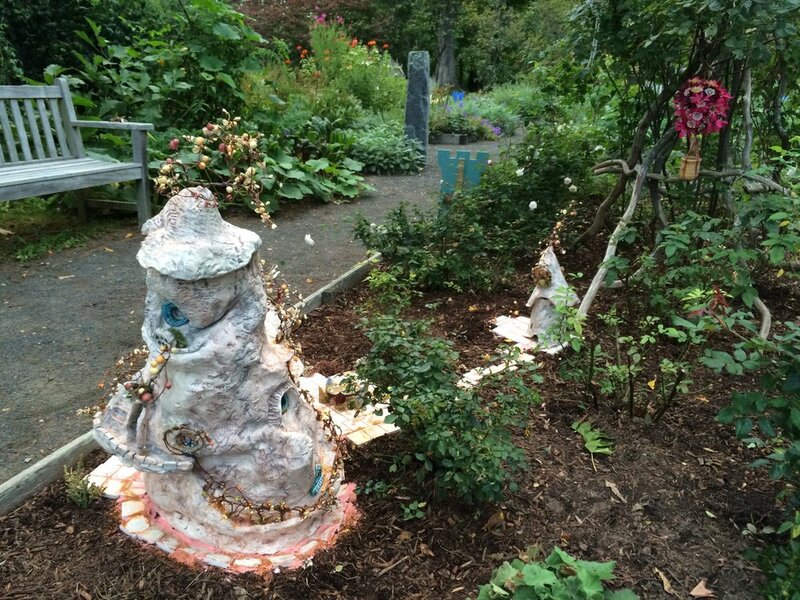 This faerie house is mostly ceramic. Hot-air balloons fly over Cappadocia at dawn each day. 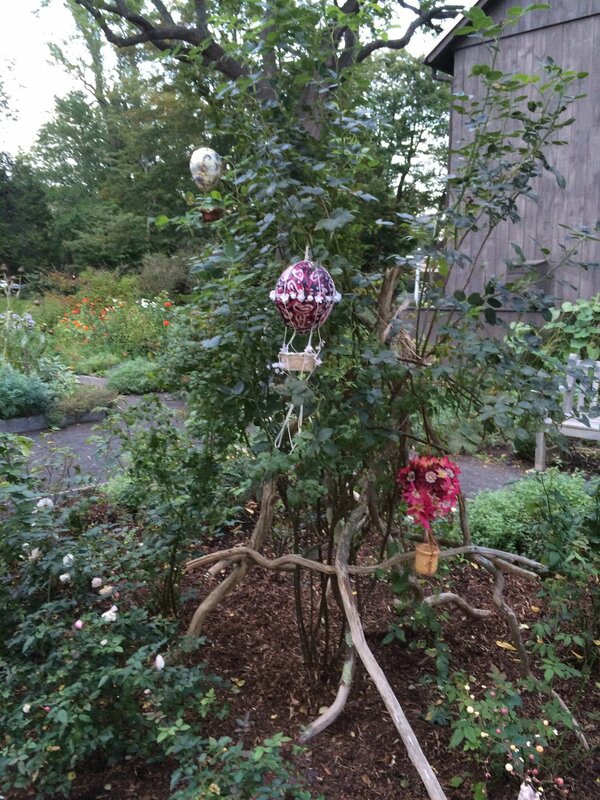 If you look among the rose bushes you will see the faeries' hot air balloons. Here is a link to Florence Griswold Museum The Museum is located in Old Lyme, CT. Halfway between NYC and Boston.